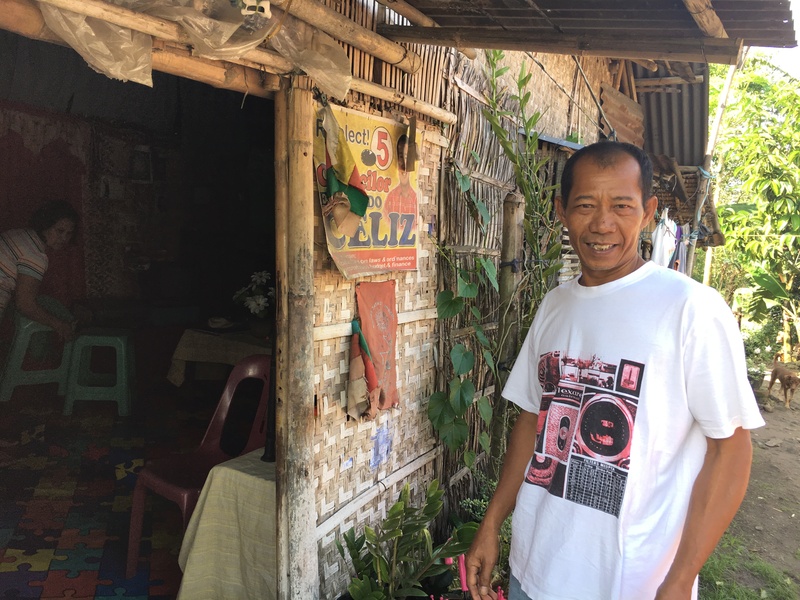 In the concluding instalment of our four-part reporting from the Philippines, we look at what it takes to make the 'world-class' worker and the price of loneliness paid by those who leave and those who are left behind. The Philippines state machinery is well-oiled, regularly tuned and intimately aware of the terms of engagement in the global labour market. It anticipates needs from Asia-Pacific to West Asia, from Europe to Africa. Those needs are then deftly met and quickly delivered to a global migration platform that is so pockmarked that any semblance of order or organisation becomes a benchmark. Order. That’s a thought that will catch you unawares in the chaos of Metro Manila. For a sprawling city so densely populated and not really wealthy (the massive billboards and huge malls at every turn notwithstanding) there is an inexplicable order – fairly clean, fairly structured, fairly respectful of each other – and it becomes fairly clear why its citizens are sought after in many parts of the world to run the services and retail sector, to take care of the young and the elderly. “World Class Filipino Worker.” That’s the official tagline for the Philippines’ marketing spiel. A blatant commodification of its citizens. It’s a spiel that works. Celestino Millar is a specialist with TESDA’s planning office. He says it’s a continuous dialogue with both the industry and the POLO recommendations, to provide relevant training that gives Filipinos an edge in the international labour market. There are no GCC-specific certifications provided, though there is an agreement with Saudi, partnering with the Kingdom’s Technical Vocational Corporation, to ensure the standards are in accordance with their needs in construction, electronics and metal work, says Celestino. There are about 4,000 authorised training centres spread across the archipelago of over 7,500 islands. Of these, 91% are privately run. Audits are conducted, and licences revoked, according to officials. It is a mammoth task making sure the most remote training centres still meet standards. It’s probably why they have made it mandatory that the most vulnerable of the lot, the ‘household service workers’, train at the main centre. The Philippines understands that better skills training would mean better wages – and the elephant in the room, higher remittances. It is now working on TESDA certified training in countries of destination, so workers’ aspiration doesn’t have to end with landing their first job abroad. “We want them to go from being domestic workers to caregivers; to cosmetologists; to aspire to develop and improve their career choices,” an official says. 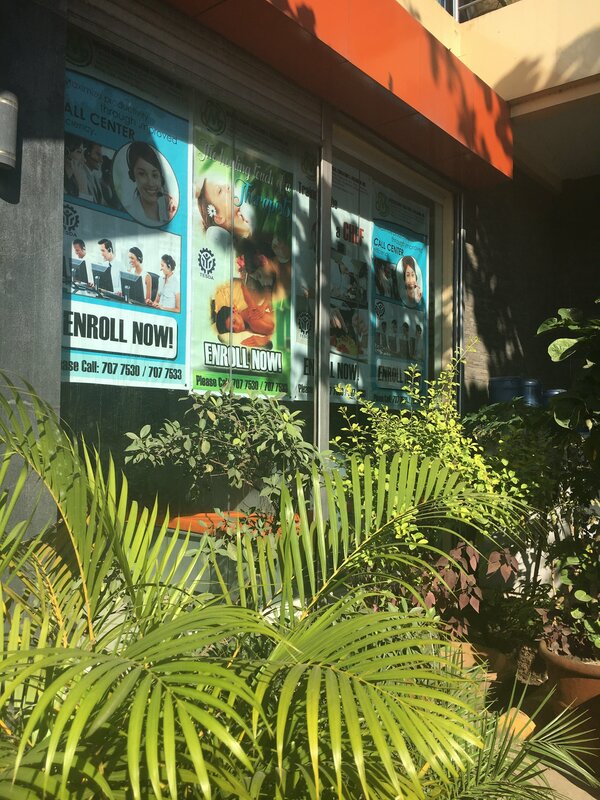 Master Global is a TESDA-certified training centre in Bacolod, in a large brick and glass structure, still smelling of fresh paint and varnish. They provide training in sheet metal work, spa and cosmetology, cooking and Food & Beverage services. As of August 2015, the national population stood at 100.98 million, with 9.1 million in the diaspora. According to statistics from 2015, over 5,000 Filipinos leave the country every day. Saudi, UAE and Qatar figure in the top 10 destination countries. It is the third largest remittance receiving country in the world after India and China and ahead of Mexico, receiving $31.14 billion in 2016. That is over 10% of its GDP. These certificate courses are not designed just for labour export, but also to fill national vacancies. There are scholarships given by local governments and there are drop-in admissions as well. An F&B class is underway, with about 30 students. More than half have family in a Gulf state and all but one are determined to go abroad to work. Finding local employment, even though there is a local tourism sector that seeks qualified candidates, is not an option for these students. 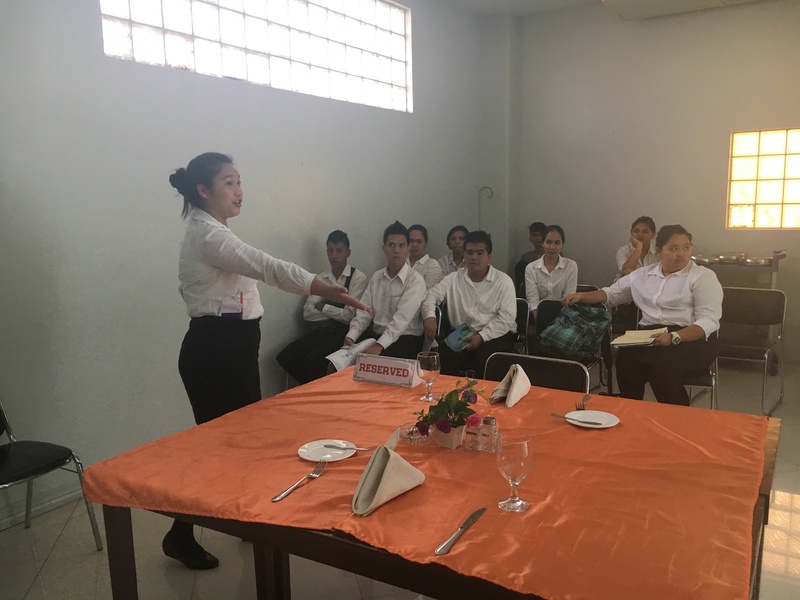 In an adjacent room, about a dozen youngsters are being trained to take an order and serve in a restaurant. The emphasis is on bending low, smiling a lot – mistaking saccharine sweetness for good service. Is that part of the export package? Service with a smile, whatever the cost? 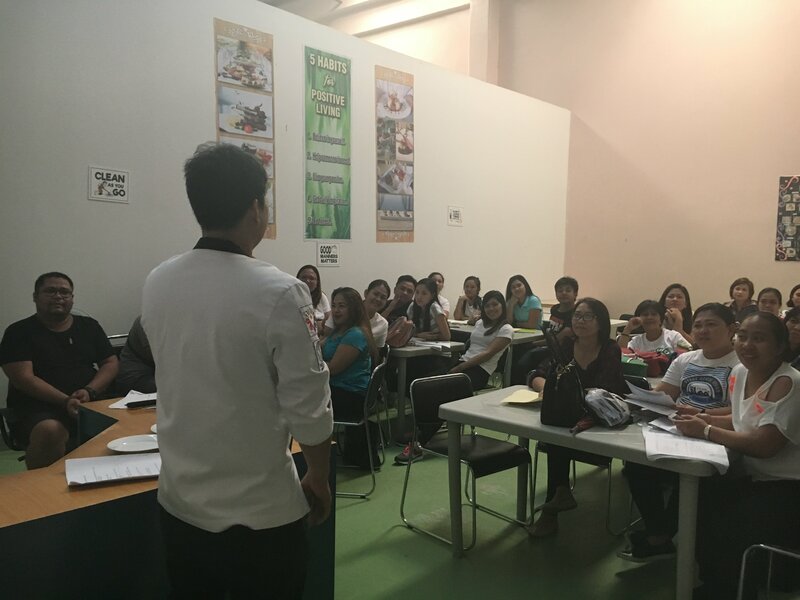 Before the TESDA certification, there’s also the Pre-Employment and Pre-Departure Orientation sessions (PEOS/PDOS) for certain category of workers. Maria Regina, officer-in-charge on the Commission on Filipino Overseas, insists it is not the state’s policy to send people abroad for economic reasons, that the government merely respects the right to move. Ellene Sana of Centre for Migrants Advocacy is not completely sold on the orientation sessions or the skilling certifications. According to her, the training and certification are all to justify the $400 minimum wage, and not in any meaningful way to empower workers. “Migrants comply with PEOS/PDOS with very little understanding or appreciation of why they need this. These trainings do not speak of rights. They only say ‘be obedient’, ‘don’t annoy your employer’, ‘try to accommodate’, ‘don’t complain too much’. All the adjustments [are] expected from the worker,” she says. Johnny Plaga worked in KSA for nine years and is proud of the very reputation Ellene finds problematic. Hardworking. Discipline. Obedience. Remittance. The total package, stripped of the softer nuances of what it means to live and work in a strange country that will never be home. Johnny’s is considered a successful migration. He went, he earned, he saved, wasn’t duped and returned. Doesn’t stop him from tearing up when he talks of the years he spent away from his family. Johnny has worked in Saudi for many years, but would not allow his daughter to go the region. "It's not a place for people to live alone." Once their daughter completed her education and started working – in a real estate firm in Bacolod city – Johnny returned. Does his daughter have her sights set on the Gulf too? Abigail Compusto knows the price paid for that kind of loneliness. Romelle works 13 hours a day in two establishments run by his employer – a cleaner in a hospital in the morning and a ‘tea boy’ at a regular office in the evening. Divorce is not legal in the Philippines and annulment is an expensive and complicated process. So couples persist despite extramarital affairs and personal turmoil. Many of the people interviewed chose to live together as a family unit without a sanctioned marriage. In an otherwise complex web of patriarchal systems, religious proscriptions and economic compulsions, creating family units outside the gridlines is simple and accepted. Especially in the case of OFWs – it’s almost expected that either the one who leaves or the one left behind, or both, are likely to enter into alternative relationships of convenience. Previous [Stories of Origin] Migration in the times of distrust Next [Stories of Origin] Run sister, run!